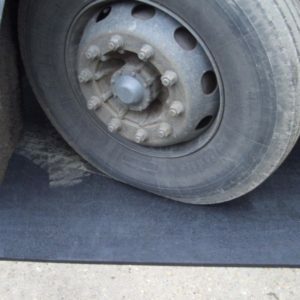 These tough, general purpose industrial rubber mats have high insulating properties, both temperature and sound. 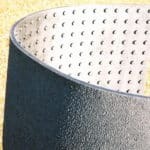 It will deaden sounds up to 50db. 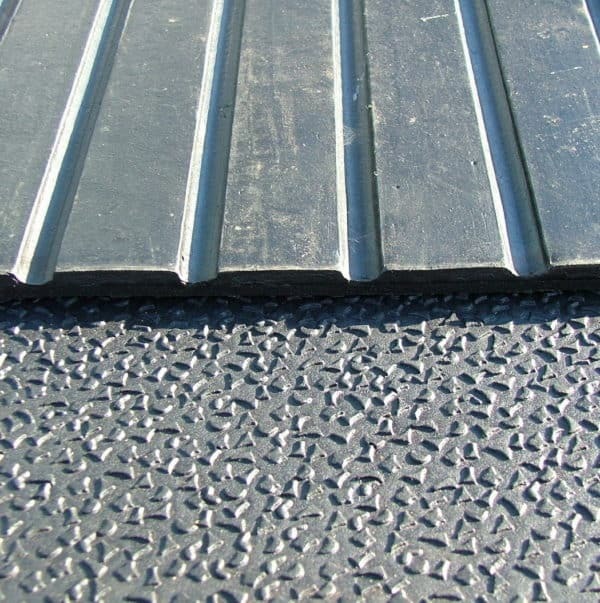 A dense 12mm thick sheet, that is able to stand very hard wear. 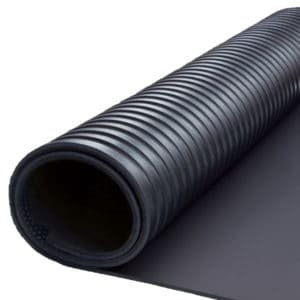 These tough, general purpose industrial rubber mats have high insulating properties, both temperature and sound and will deaden sounds up to 50db. 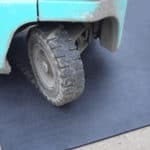 The mats keep dust and noise down. 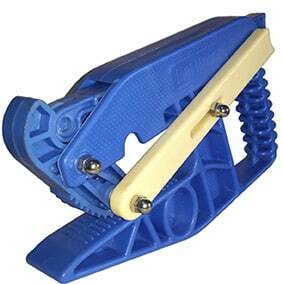 Ideal in cold, damp, noisy situations, and is strong enough to handle most machinery. 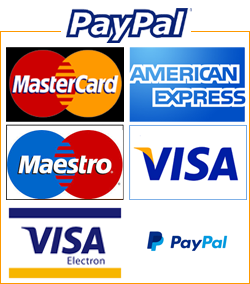 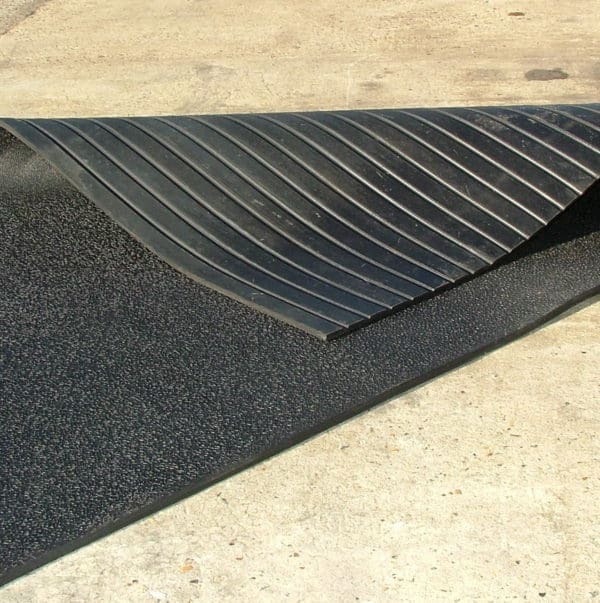 Each rubber sheet is 1.82m x 1.22m x 12mm thick (6’ x 4’). 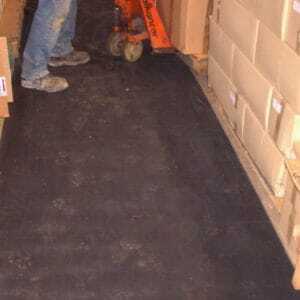 The top has an easily cleaned slip resistant surface, certified to BS EN 7188:88 at 64 wet and 84 dry. The sheet is fully vulcanised latex to a density/specific gravity of 1.45gm per cc. 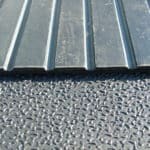 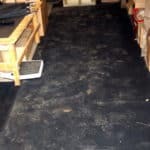 They make an ideal floor covering in very heavily used areas such as greenhouses, garden centres, warehouses, yards, building sites, factories, machine rooms and loading areas. 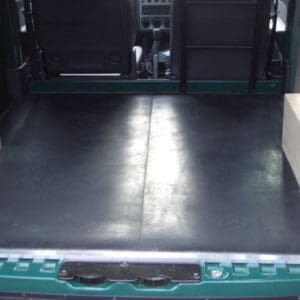 The mats stand up to the predations of industrial boots, and are ideal on lorry and pick up load floors.